Continued from: Trijicon ACOG In Use. A commonly heard gripe against BDC reticles is that they’re imprecise and can’t be adjusted. It’s true that BDCs can’t be adjusted, at least not by the shooter. Here’s the low down on ACOG BDCs. While most Trijicon 4×32 .223 pattern reticles (TA01, TA11, and TA31) are set for 55 grain bullets out of a twenty-inch barrel when mounted to the carry handle, the TA01NSN was designed specifically for the US Special Operations Command SOPMOD M4 Carbine and that reticle’s bullet drop compensator and range finding stadia lines are based on the trajectory of the 62 grain bullet from a 14.5 inch barrel. The TA01B and TA11C were designed for the 7.62mm, 20-inch barrel, 168 grain bullet, and M16/AR15 carry handle mount. 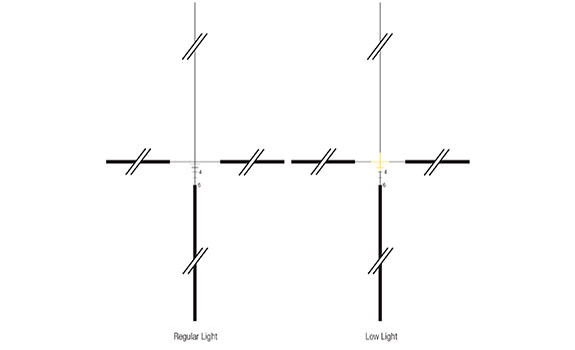 The ranging reticles for the 4×32 BAC line, such as the TA31F, are calibrated for .223/5.56mm flattop rifles. Trijicon can change the reticle pattern in their scopes but must do so by installing a new prism at their factory. The U.S. military has three bullet weights issued in 5.56mm. While 55 grains aren’t common, the M193 cartridge is still floating around the system and is often more accurate than issue 62 grain. M855 is our take on the NATO SS109 specification and its 62 grain, green tipped bullet is most commonly seen. Mk262 is a 77 grain load based on competition ammunition commonly used in Service Rifle competition such as at Camp Perry. Needless to say, there an enormous number of other options for individual shooters, especially those that hand load. 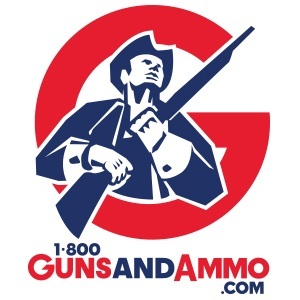 Even without changing bullet weights, there can be slight differences between different lots of ammunition, one of the reasons manufacturers print their lot numbers. Even with specific ammunition coming out of the same can, a change in environmental conditions such as temperature and elevation also changes points of impact at distance. So a fixed BCD can never be absolutely perfect. Of course, these changes are dictated by ballistics and change the same regardless of the sight used. A precision shooter tracks these various condition changes in a data book and uses that information to dial sight changes into the sights. Good BDC sights can use the same idea. Shooters in the U.S. Army Reserve Marksmanship Program compete in Service Conditions or Combat matches as held throughout NATO. These events were created by the Commonwealth countries and have a large following in the United Kingdom, Canada, and Australia. 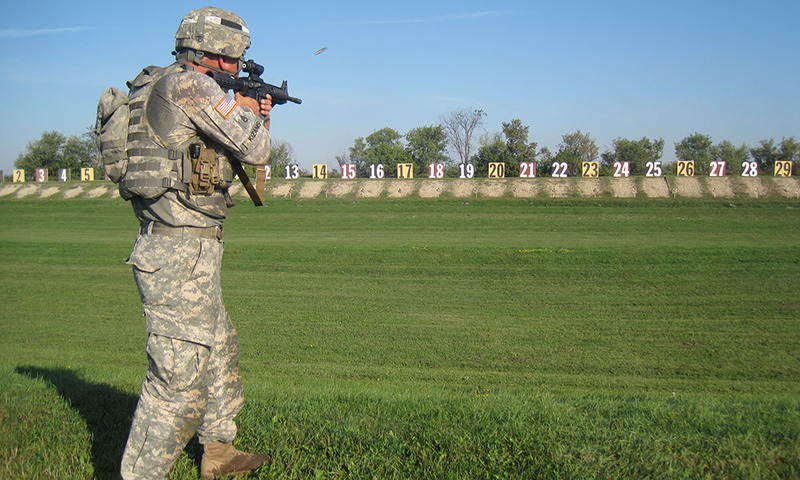 The premise is to shoot a variety of competitive courses using only as-issue weapons, ammunition, and equipment. No modifications or “match gear” is allowed. Using an ACOG, or other good BDC-based sight, it’s best to establish a solid zero that maximizes the reticles effectiveness. Trijicon recommends a 100 meter zero. It’s best to follow that from a prone, magazine-supported position at a MEASURED 100 meters. This is confirmed in full kit as directed by the match. Once this is set, the idea is to never use the adjustment knobs. In practice, there might be a tweak needed as data is compiled. 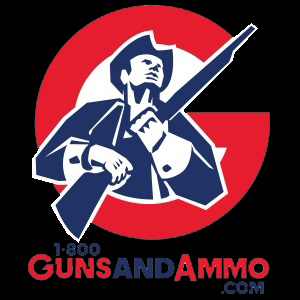 A common joke is that a good shooter is 95% zeroed within 2-3 rounds and then uses 200 to 300 rounds to refine that last 5%. In other words, a good marksman firing and calling the first round can make a bold correction that is close, well inside typical Army or Marine zero standards. A couple rounds more finishes this up. However, matches are won and lost with V or X counts. Where qualification standard is “good” with a hit anywhere in the silhouette, competition demands greater precision. Getting it so that first group fired cold is always centered in the V-ring on demand, and not merely somewhere inside that relatively small area, is the last refinement and takes some work. Especially considering this is done with issue rifles and ammunition which isn’t as consistent as we’d like. Some competition shooters use a white adhesive ring centered on the scope’s ocular lens as a sort of peep sight. This gives a visual confirmation to the shooter that a consistent head position and perfectly-centered placement of the aiming eye has been achieved. Data is gathered based on the reticle position. The marked stadia may not yield perfect point of aim to point of impact at distance. Just as a shooter with a click adjustable scope records data for sight setting at various distances, the ACOG shooter plots hold points. Rather than a book with numbers corresponding to click values, these are plot sheets with pictures denoting hold points for various distances. In addition to the obvious use of each 100 meter increment aiming reticle, some shooters also plot the relative location of the 100 meter reticle (TA01) or chevron base (TA31F) for all distances. The idea is they want an image of an ideal hold using the largest, most obvious portion of the reticle. For example, for 300 meters a shooter might note where inside the helmet of the Figure 11 target does the 100 meter reticle fit for centered shots. After a run down, shooting while fatigued, or under tight time constraints, it might be best to know where to toss up the largest reticle and still land good hits. One thing to note about this “discrepancy” between the reticle and actual point of impact. Team shooters keep track of this because of the precision required during competitive events. This isn’t center of target hits, but center of the center of chest hits. The five ring on some of these targets, and certainly the V ring on all of them, are smaller than the thoracic cavity. Hits that are “dead center” on a qualification course are losing points in a competition. It should be noted that this “error” won’t be apparent to most Marines and Soldiers as the point of impact is still close enough for solid silhouette hits, certainly good enough for a better-than-Expert qualification on either of their qualification courses. Some competitors enhance this precision approach by adding a rear peep sight aperture to their ACOG. Hole reinforcement labels are adhesive rings sold as stationary for reinforcing pages in a three-ring binder. Carefully centered on the ocular lens, this provides a “rear sight” for the reticle. Now, the ACOG is a good optic and doesn’t have any parallax issue. The idea is that keeping the reticle centered inside the peep when aligned on target ensures that the head is kept in the same place, with identical pressure on the comb of the stock, eye perfectly centered when viewing the reticle superimposed on the target. It’s an additional check to further enhance precision. Self-proclaimed tactical shooters and other whiners like to point out such things aren’t “realistic.” Well, their definition of “precision” is much degraded in comparison. Team shooters use this as a training aid as it forces a better, more consistent position when used in training. Some choose to compete with their additional peep as their presentations for speed shooting become so consistent that the reduced field of view poses no hindrance. When the rifle tracks more consistently and smooth into position, and the head keeps the eye centered behind the sight, shooting speeds up as well. At any rate, the ring can be immediately removed if needed. Some choose not to bother. It’s just a tool that has proven helpful for some. Lastly is dealing with that old devil wind. Precision shooters have usually clicked a correction onto their sights based on the distance, wind speed, and direction. Wind charts for a given type of ammunition based on ballistics data proved a pre-plotted solution for this. BDC reticles don’t have this provision, however, the ACOG has something that helps. Rather than think of minutes of angle for correction, combat shooters use hold points. That is, section the width of the target into quarters and extend out as needed. For example, hold point zero is dead center of the target. Hold point one is half way between the center and the target’s edge. Hold point two is the edge of the target. Hold point three is another quarter target chuck of distance off the target’s edge. Hold point four is half the target’s width off to the side, etc. The ACOG reticle readily facilitates this. Given that the width of the aiming reticle is the same width of a silhouette at the marked distance, the vertical portion of the stadia line splits this in half. Each half of each horizontal section is half a target with. This is useful in determining hold points. Using this, wind charts are then marked in hold points rather than minutes of angle for wind correction at each distance. Data card showing holdoffs using a ACOG TA31F reticle. While optics do not increase marksmanship skills, they can enhance the ability of a skilled shooter to obtain hits, especially in a field environment. The U.S. Military has been using Trijicon’s ACOG for years and with great results.